“Ngahauoma” is a radio show that goes on air every Sunday from 10 to 11 p.m. It is run by the National Tongan-American Society, at the KRCL radio station located at 1971 W. North Temple. “Ngahauoma” is under the “Talakoula” radio show. The radio show covers Polynesian events, people, programs and musical artists. Even though the “Talakoula” radio show has been running for over 20 years, “Ngahauoma” is a fairly new radio show. It is currently in its third month. Hafoka doesn’t remember the exact number of listeners, but said he was told the average number is over 1,000 people. White also said that the show has been receiving high ratings. The “Ngahauoma” is not just a Polynesian music radio show. It is all about helping its Pacific Islander community. 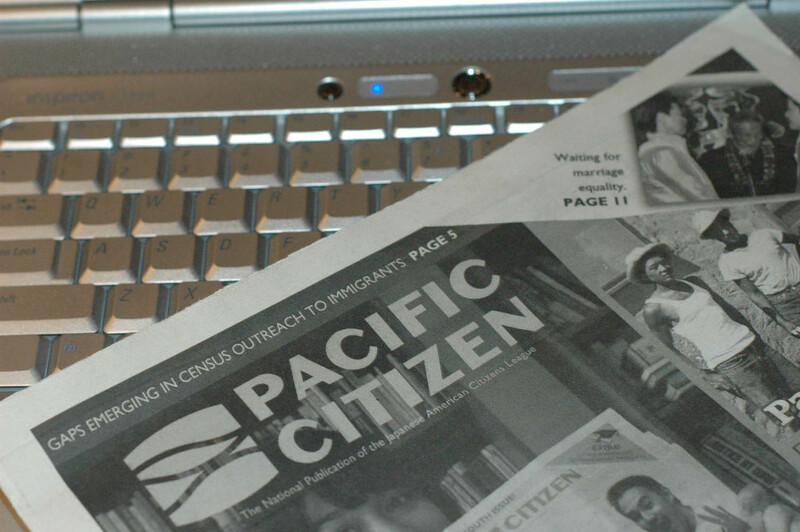 One of the program’s goals is to get more Pacific Islanders to register to vote. Its target is the millennial generation. There has been a decrease in the Pacific Islanders who are registered to vote, said Penina White, cohost of “Ngahauoma” and NTAS civic engagement director. This is because the millennial generation is not registering to vote. “If more Pacific Islanders were to register to vote, they would have a say in what goes on in their community,” White said. Maryan Logisiola Savini works at KRCL, Havier Hafoka works with youth corrections and is a musician and Penina White is the civic engagement director for the NTAS. “We all bring different aspects to the show but they work well as a team to host the show together,” White said. The hosts of the radio show not only highlight the good, but also talk about sensitive topics in their community. The show hosts want to make sure that they are reaching their target audience, even if that means one person. The show’s main message not only is to touch the community but to anyone who listens. Anyone in northern Utah has access to the “Ngahauoma” radio show. The radio show also has listeners from California and people who are incarcerated are able to listen. One of the next steps of the “Ngahauoma” is to get a two-hour time slot. The hosts want to be able to have time to talk about sensitive topics. “The one hour goes by so fast,” White said. The Black Eagle family of the Crow Tribe adopted president-elect Barack Obama, whose new name is “One Who Helps People Throughout the Land,” during his visit to the Crow Nation in Montana on May 19, 2008. Obama was the first presidential candidate to visit the reservations of the Crow Nation. He was adopted in a private ceremony, and then he gave a speech ensuring Native Americans that their well-being is a priority to him. He promised to honor the government-to-government relationships and treaties, to appoint an American Indian policy advisor and to host an annual summit with tribal leaders. Obama also vowed to improve trust funds, education and health care for reservations all over the country. Obama’s visit and speech had an impact on the early support from Native Americans. “I think people were impressed with his commitment he showed by just going to the reservation,” said Harlan McKosato, the host for Native America Calling, in a phone interview. Native Americans overwhelmingly supported Obama by more than 80 percent, according to a poll conducted by Native Vote Washington, a voter advocacy group based in the state of Washington. And like most demographics this election, voter turnout for Native Americans also saw an increase. Native American support can be attributed to many factors, including Obama’s promise of change and better voter education overall. Obama has promised change to the Native American community. And while most are skeptical about promises made by a politician, a lot of people think he can change things, McKosato said. Native Americans see Obama as someone they can identify with because of his diverse heritage, said Ella Dayzie, executive director of the Indian Walk-In Center in Salt Lake City, in an e-mail interview. A follow-through on those promises will first be seen through Obama’s appointments within his cabinet and other positions. He has promised to create an American Indian advisor position to better meet the needs of the Native communities. Obama has also proposed an annual summit with Native American tribal leaders. Obama has already named six Native Americans to various transition teams. Mary Smith, Mary McNeil and Yvette Roubideaux have been assigned to work on justice, agriculture and health issues respectively, and John Echohawk, Keith Harper and Robert Anderson will advise Obama on changes within the Interior Department, according to Change.gov. Obama has also promised money towards improvements for Native American health care and education. His economic and infrastructure development plan includes an increase in the federal minimum wage and adequate funding for the Indian Housing Block grant, according to the First Americans Fact Sheet at Obama’s Web site. Obama’s promises to Native Americans created greater interest in the election within the Native communities. Voter education on the issues and candidates also influenced voter turnout. Voters had a vast amount of information at hand about the election, from the newspaper and television to the Internet and YouTube. Most of the sources contained general information on candidates and issues. However, some programs focused on Native American issues and voting. KRCL-FM is a public radio station in Salt Lake City, Utah, founded in 1979 as a community radio station where all issues could be discussed. KRCL has always been committed to having diverse voices on the air, said Maldonado general manager of KRCL. Various ethnic groups, including Native Americans, have had airtime since the beginning. Today, the Native American slot is on Sunday mornings. Native America Calling, a live call-in program based in Albuquerque, N.M., that discusses issues specific to the Native American community, is rebroadcast on KRCL at 6 a.m. And, at 7 a.m., Living the Circle of Life plays traditional powwow music and contemporary American Indian music from local and national artists. Native America Calling is an hour-long program that airs every weekday at 1 p.m. Eastern time on select stations. The program’s topics range from financial issues to a book of the month. During the presidential campaign, the program evaluated the topics and candidates from a Native American point of view. “Native [America] Calling on KRCL helped in bringing news/reports about the issues that matter to Native American voters,” Ella Dayzie said. Some of the election topics included discussions about political parties, Native veterans, women’s vote, young voters and planning for Election Day. The program also talked about the reaction to Obama’s win and discussed the promises Obama made to Native Americans. Native America Calling has had full phone lines each time the election was discussed, said McKosato, the show host. “People were more interested in this campaign than ever before,” he said. Native America Calling helped get the issues out to Native Americans. The show used politics related to the community to spark an interest in the election and get people motivated to vote. AIROS Native Radio Network also used the radio and Internet to give Native American voters a voice. AIROS is an all-Indian Internet radio that is broadcast 24 hours a day through web streaming. It had audio, video, news articles and podcasts covering the election from a Native perspective. AIROS reporters used their stories to link Native communities to the election. They covered the 2008 Native Vote Initiative campaigns, presidential candidate rallies and Native American support. The National Congress of American Indians expanded its Native Vote Initiative this year in an aggressive campaign to get more Native Americans to vote. The 2008 initiative had four core plans: provide training to educate, engage and mobilize voters; ensure fairness of voting laws and protect Native voters; educate candidates on issues important to Indian Country; and get the Native Vote message to media and the general public. Volunteers from tribal communities visited with people, even going door to door, to educate individuals about issues and help them register to vote. “The NCAI’s Native Vote team has done a great job on getting the ‘vote’ out and educating the American Indians about both parties so that [they] can make an informed decision,” Dayzie said. Obama’s goals and promises to better Indian Country have brought a new hope to Native Americans. And due to a focus on the Native American voters and issues, Obama now has the opportunity to keep his promises to them and people all over the United States. The Gay and Lesbian Alliance Against Defamation offered a presentation on media essentials on Oct. 16, 2007, in support of Pride Week at the University of Utah. Adam Bass, the Northwest media field strategist for GLAAD, encouraged aspiring journalists to recognize and write effective pro-LGBT messages. “A good example of an effective pro-LGBT message could be something like this: University of Utah Pride is an opportunity to showcase our diverse student body and let every student know he or she is valued as a member of the community,” Bass said. GLAAD’s media field strategy teams provide training to help lesbian, gay, bisexual, transgender people and straight allies illustrate more effectively the power of local media to encourage respect, inclusion and acceptance. In addition, the teams work closely with organizations and individuals to develop strategies and contacts, create news coverage and train spokespeople. Bass’ role is to be a community and media resource for whoever is writing or speaking about the LGBT community. He encourages people to correct misrepresentations and factual errors in the media by responding with a message that will educate and inform others. “When you respond to a story or an article, do stay positive and be for, not just against something,” Bass said. “Don’t make it us versus them.” He believes it is vital to stick to what you know, since the message must match the messenger, but also said not to be afraid to be on the offensive. Bass told the audience to remember to reclaim facts and valuable statements with proper language and not to repeat the opponent’s negative message. For example, when writing letters to the editor, Bass said it’s essential to respond to the defamatory coverage by clarifying the misconception or inaccuracy of an opponent. “The strategies for writing a letter to the editor are: making a strong affirmative statement, tell your personal story, support your statement with facts and strengthen the existing positive message of your organization,” Bass said. Once you have created an effective message, the next step is knowing your audience. Bass said there is no such thing as a general audience; rather, individuals need to speak to the “movable media,” those who will be affected by the issue or subject. “It’s important to tell your personal story and to let your message come from experience, but to also know your boundaries,” Bass said. He encourages people to use “buzz” words like freedom, justice, democracy, love and commitment to build bridges with readers or the audience. The goal is to convince your audience that your position is reasonable and persuasive. “It’s simply about taking the personal story and making it a universal message. For example, try using the Oprah effect; ask someone to sit on a couch and tell you their story,” Bass said. On the other hand, the goal of writing an opinion editorial is to summarize an issue, develop a persuasive argument and propose solutions. The strategies behind writing an opinion piece are: Begin with your personal story, include facts and make the complex issue clear. “Whether it’s a letter to an editor or an opinion editorial, it’s essential to keep it short and concise, to be specific in the response and to not assume audience knowledge,” Bass said. He said he approached the editor of the Daily Utah Chronicle at the U about publishing the word “homosexual” in a story. In response, the staff committed to altering their pre-existing style rules to appropriately address the LGBT community. “The explanation of the term as a scientific branding propagated by a number of anti-gay publications made it clear to me that we should include more specific instructions on use of the word in our own style guide,” said Matthew Piper, editor-in-chief of the Daily Utah Chronicle. GLAAD, the third largest LGBT civil rights group in America, strives to change hearts and minds by altering the way media portray the LGBT community. “We are a media advocate and watchdog for the LGBT community,” Bass said. GLAAD strives to meet people where they are and to foster broader conversations with anyone and everyone. “We talk about stories to open hearts and minds,” Bass said. They are called fence-sitters, undecided or confused. Generally they are not accepted by straight or gay people, although the straight community lumps them in with the LGBT community. Bisexuals have been marginalized for many years because they are underrepresented within the LGBT community. Stereotypes surround them like a cloud. One misconception is that they are promiscuous because they are attracted to both sexes. However, many don’t fit this stereotype because they believe in monogamous relationships, whether it’s with a man or woman. Bisexuals are included in the LGBT (lesbian, gay, bisexual and transgender) acronym that has become the most widely accepted term for describing members of this population. But, the problem with bisexuality being part of the LGBT acronym is that they are not accepted by either gays or straight individuals, Owens said. “There’s a saying: ‘Bi now, gay later,'” she said, referring to the misperception that bisexuals will eventually become gay or lesbian. Owens and LGBT Resource Center Director Cathy Martinez are working to reaching out to misrepresented LGBT communities — including bisexuals — by making them feel as if they are part of the community. Although no definite plans have been made, Owens believes they need to be included considering they are part of the acronym. But making bisexuals feel included in the LGBT community will be difficult because they are looked down on by gays, lesbians and straight people. Bisexuality in younger males is questioned even more. Tom Campbell, 17, a senior at Tooele High School in Tooele, Utah, has been out about his bisexuality for a year. He has seen some people be completely supportive of his lifestyle, while others are less inclined to treat him the same as they did before they learned he is bi. Campbell believes it’s difficult for people, especially high school teenagers, to understand that having equal interest in males and females is normal for him. He has also seen the difference in the way bisexual women are treated compared to bisexual men. Campbell is a member of the Tooele High stage crew where he helps build and design scenery for the plays the school produces. Some of the crew members who know he is sexual orientation have treated him differently. Although lesbian and gay have overshadowed the ‘B’ in LGBT, it is a lifestyle that bisexuals accept despite pressure from both the LGBT and straight communities. For instance, Wendy Lynn, 43, an environmental studies student at the U, never questioned her bisexuality and has embraced her lifestyle. Primary lesson — a Sunday school-like teaching session for children — challenged a teacher who couldn’t give her the answers she wanted. She was taken to the Bishop, who told her not to vocalize her thoughts. Lynn and her husband divorced after three years of marriage. Eventually she began a 10-year relationship with a woman. Lynn said they would still be together if it weren’t for her partner’s alcohol abuse. The only time Lynn felt accepted by the LGBT community was when she was with a woman. Her life revolved around this community while she was with her girlfriend. She hung out at bars that her friends frequented. But, once she began a relationship with a man, Lynn lost the majority of her friends. Lynn has been in a relationship with the same man since 1998. They were married, then divorced. Now, they are living together again, but are no longer married. Since she has been with a man, her parents have been more supportive about her sexuality. Because they don’t see Lynn with another woman it’s as if they can pretend she is straight. Ultimately it doesn’t matter to Lynn whether her partner is male or female. “I will never stop being attracted to men and women,” she added. Lynn’s philosophy is that in any population, 10 percent are gay and 10 percent are straight. Everyone else – mainly bisexuals – fall in the middle. That large gray area is where she, and many others, fit in. Because Lynn is older, she has seen many of the hardships bisexuals have faced over the years. Most of the time, she said, they weren’t necessarily persecuted, but definitely had a hard time fitting in with both the LGBT and straight communities. Lynn has lived in Utah, California and Montana, but the only time she felt her life was threatened was in Wyoming where LGBT individuals have been killed because of their orientation. On another occasion at the gay club, Sun, in downtown Salt Lake City, a group of men surrounded the exit. Lynn, unaware they were there, nearly walked out but was pulled back inside before she could get hurt. Nevertheless, bisexuals still have to fight for approval from society. For instance, the Utah Bisexual Support Group was only recently allowed to hold meetings at the Utah Pride Center in downtown Salt Lake City. Campbell and Lynn are just two of many bisexual individuals living in Utah who don’t feel at home in the gay and lesbian or straight communities. Until one, or both, sides decide to accept them, bisexuals will continue to live in limbo.